Local fundraising group, Giving to Pink has come together to raise money and awareness for a Specialist Breast Care Unit in South East Wales. 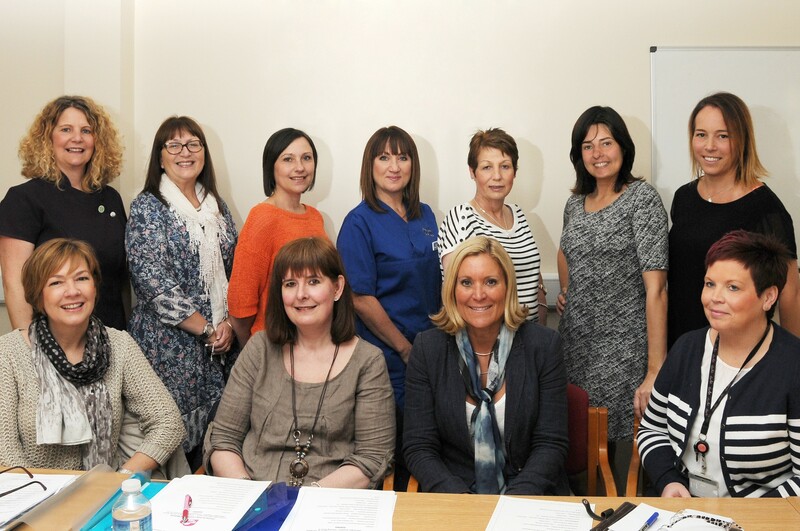 The fundraising group, formed in September 2014 is actively working to raise awareness of the need for a Specialist Breast Care Unit within the Cwm Taf area. The group is made up of a team of volunteer fundraisers all of whom have had their lives touched in some way by breast cancer. Since September 2014 the group has raised over £25,000 through fun events and innovative fundraising ideas. The group is also diarising events moving forward to help raise awareness and reach the all-important financial goal to see a specialist breast care unit within Cwm Taf. Consultant Oncoplastic Surgeon for Cwm Taf University Health Board and Breast Test Wales, Mr Eiffion Vaughan Williams is fully supportive of the Giving to Pink initiative. During the summer Mr Vaughan Williams took a short-term locum, to cover consultant leave at The Peony Unit in the Prince Philip Hospital, Llanelli. Mr Vaughan Williams was so inspired by the hospital’s fantastic and dedicated new breast unit with its’ state of the art equipment that he vowed to look at ways to improve the breast care facilities in South East Wales. Giving to Pink is supported by the infrastructure of Cwm Taf University Health Board meaning the fundraising group does not incur any administration costs or overheads and all money raised goes straight towards the specialist breast care unit. Over 2000 patients per year attend the breast care clinics within Cwm Taf and the numbers will continue to grow in line with the increased awareness of breast disease, especially in younger women. Cwm Taf University Health Board is pleased to support the important work of this excellent team by raising money to support the new unit. Visit www.givingtopink.com to learn more about the charity and find out about the events planned for 2015. The group are also encouraging engagement through social media via Twitter and Facebook.